Pokemon Go is an augmented reality MMO (Massively Multiplayer Online) game which allows players to Capture, Train, Battle and Trade (Trading coming soon) Pokemon in the REAL world. Pokemon Go is compatible with both Android & iOS and requires Wi-Fi/Data and GPS location. 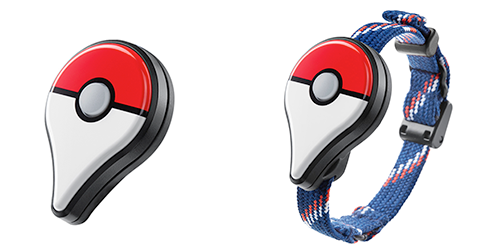 Pokemon Go Plus, a small wearable device (aimed at enhancing user experience) was available for purchase at the time of release (very limited availability). New to Pokémon Go? Check out the Pokémon Go Beginner's Guide! Release Date: Pokemon Go was released in July 2016. 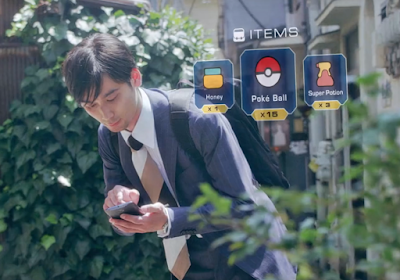 Players are encouraged to go outside, travel and explore to find and capture new Pokemon. Rare Pokemon may be found in specific areas of world such as historical sites, prominent monuments, special businesses or other well known places. However, while traveling to these locations is encouraged, long trips away from home are not required to capture Pokemon. In addition to the widespread population of Pokemon, different types of Pokemon will reside in different areas of the world. For example, Water Type Pokemon will live near water (Eg. Oceans, Lakes). Grass Types will live near grass (Eg. Fields, Parks). These features along with Pokemon Go Plus should really help change the feel of Pokemon Go from “just a mobile game” into a more immersive experience within the real word. Pokemon Go Plus is a small device (about the size of a fit-bit) with the Google Map pen with the Poke Ball shape and color all fused together into one. 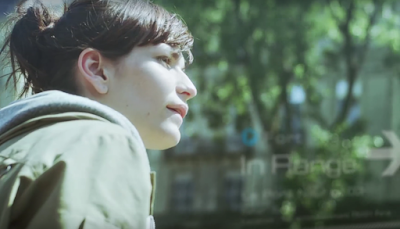 In the form of a wristband or a small clip-on, Pokemon Go Plus connects to a smartphone via Bluetooth Low Energy. Although not required to play the game, Pokemon Go Plus will enable players to play the game without having to look at their smartphone. 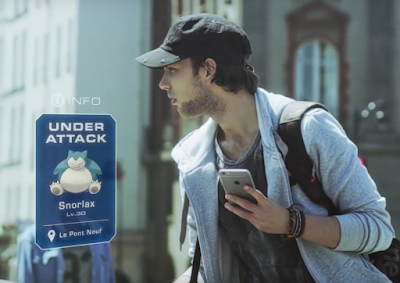 It will signal users of in-game occurrences, such as a nearby Pokemon, Battles or other Events. The signaling is achieved by means of vibrations and flashing multicolor LED lights. When a button on the device is pushed in a certain sequence a Pokemon can be captured and then viewed later on the user’s smartphone. The main purpose of Pokemon Go Plus is to naturally let players know that something is occurring within the game at any given time. It will offer more convenience and give players the ability to role play within the real “Pokemon Go” world. 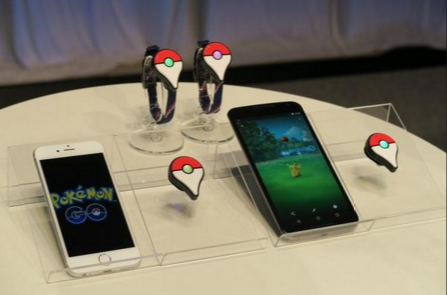 Pokemon Go Plus will be affordable vs. the average smartwatch. Greater potential to be used by more people. Simplicity in design and ease in usability for all ages. Greater battery life to limit the need for constant recharging. Overall, Pokemon Go Plus will allow players to travel throughout their daily lives and capture Pokemon with minimal difficulty or interruptions. 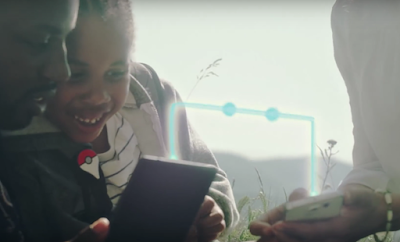 Developers envision kids clipping Pokemon Go Plus to their backpacks, while others may use the wristband as they travel through Towns, Cities, States and Countries ultimately seeking to Catch Em’ All. The Pokémon Company, Google and Nintendo have teamed up with company Niantic, Inc. to build out this real-world gaming platform. Niantic is most well known for its popular game Ingress, a massively multiplayer augmented game set in the real world and run on Android and iOS devices. Requirements of this game include a strong Wi-Fi or cellular data connection, as well as GPS (both of which will be needed to play Pokemon). 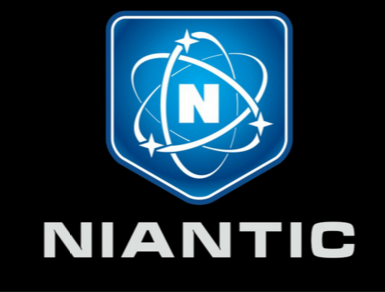 The Pokemon Company, Nintendo and Google are investing $30 million in Niantic, Inc., a company with less than 50 employees. This investment will go directly towards the continued development and growth of Pokemon Go. Being worked on by the developers at Niantic, Pokemon Go will share similar features to that of the company’s mobile game, Ingress. Information, such as usernames, achievements, completed quests and other statistics will be shown on each player’s profile. Statistics shown may include Number of Pokemon Caught, Number of Rare Pokemon Caught, Total Battle Win/Loss, Forts Captured/Defended, Raids Completed/Failed, etc. Teaming up with Niantic, the Pokemon Go Developers expect to support an expected 10 million Pokemon Go trainers worldwide. The goal is to keep these players engaged with the game, but also reward them for physically interacting with the real world. Entry Requirements stated that all testers must live in Japan and own a device with Android (Version 4.3 and up) or iOS (iPhone 5 and up). Beta Test is a good indicator as to what Android/ iOS version(s) the official game will require. Check to see if you meet the Device requirements: Is your device compatible with Pokemon Go? Pokemon Go will be Free to Play with in-App Purchases. The game can be downloaded for free from the App Store and Google Play. Being that there will be no ads in Pokemon Go and it will be free to play, a large portion of its revenue will be generated from microtransactions such as Pokeballs (Eg. Great, Ultra, Master), Potions (Super, Great, Master), Evolutionary Stones, etc. Players will be able to participate in Gym battles, Team Battles and Raids. Much of the information below was derived from the Pokemon Go trailer. A team of two or more. 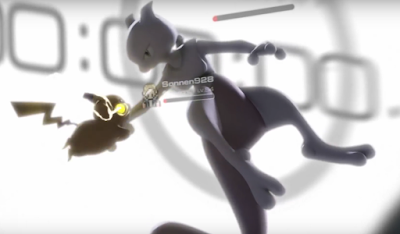 The Official Trailer shows a 3 vs. 3 battle taking place at a Fort, where one Trainer’s Blastoise seems to take out all three opposing Pokemon with a single Water Type move. If area of effect damage or buffs are possible in Pokemon Go it will definitely add an additional strategic element to the game. Some Pokemon may be more useful in Teams than individual 1 vs. 1 battles. A large number of players team up and work together to accomplish a difficult challenge. 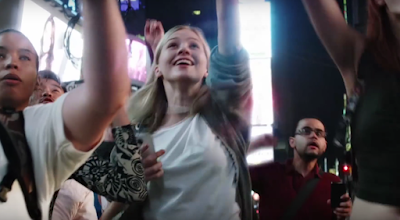 In the Official Trailer, hundreds of Pokemon Trainers gather together in Times Square, New York. The objective is to defeat a Level 70 Mewtwo within ten minutes. After completing the objective all Raid participants are rewarded with a newly captured Level 70 Mewtwo. There will likely be similar Raids scattered throughout the world. Items such as Potions, Poké Balls, Honey, etc. will be available to all Pokemon Trainers in Pokemon Go. Healing potions will be used to heal your Pokemon just like in previous Pokemon games. Poké Balls will be used to catch Pokemon. The higher quality Poké Balls will give you a greater chance to catch Pokemon. 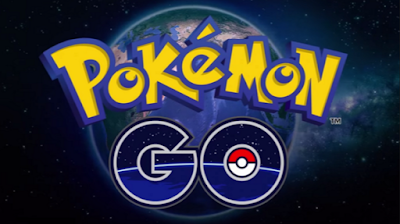 The Poké Ball, Great Ball and Ultra Ball have all appeared in the Official Pokemon Go Trailer. In addition to Potions and Poké Balls, Honey will also be an item that can be acquired in the game. In other Pokemon games Honey is used to attract Pokemon. In Pokemon Go, Honey may work in a similar way by decreasing the number of meters between you and nearby Pokemon, thus giving the effect that these Pokemon are advancing closer to you. How to Acquire Items in Pokemon Go? Although not official confirmed, Pokemon Go may award players specific items for completing achievements or tasks within the game. John Hanke (CEO of Niantic) has confirmed that Pokemon Go will encourage and reward players to get up and explore the outside world. These rewards may be Pokemon, but they very well may also be useful items. It has officially been confirmed that in-app purchases will be available in Pokemon Go. It is extremely likely that these microtransactions will include a Poké Mart where Trainers can purchase Poké Balls, Health Potions, Honey and possibly even items that temporarily improve Pokemon stats. Pricing at the Poké Mart will likely be less for common items, but greater for more stronger or rarer items. For example, more effective items such as Max Potions and Ultra Balls will likely be more expensive than your standard Poké Ball or Potion. Technical Machines (TMs): A single use item used to teach Pokemon a specific move. Evolutionary Stones (Thunder, Fire, Water, etc. ): Items used for evolving certain Types of Pokemon. Revive: A single use item which revives fainted Pokemon. PP Up/ PP Max: Items used to increase the Power Points of a single Pokemon move. Rare Candies: A single use item which will raise the level of a single Pokemon by one. This is a short list of potential items that could be in Pokemon Go. What items would you like to see in the game? Pokemon Go Developers confirmed that Gyms will officially be in the game. According to John Hanke, Gyms will be a “bit more rare so it will take a little more effort to get there. You will be able to level up your Pokemon and battle at Gyms.” Pokemon Go and Pokemon Go Plus will notify players when they are in proximity of a Gym. Note: Niantic may be removing forts and replace them with Gyms. Forts may possibly be a point of capture for each team or trainer to control. Trainers will battle it out and the winning Team or player will then gain control of that Fort. The Pokemon Go Developers mentioned that there will be teams to join in Pokémon (more than two) and those teams will compete against one another. Battles to capture Forts may very well be one of those (Red vs. Blue) ongoing Team challenges. 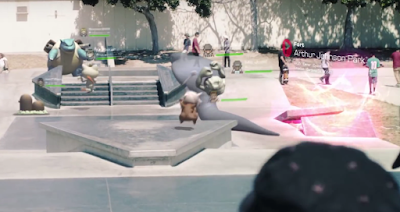 The trailer shows a (3 vs. 3) Team Battle being held at a Level 5 Red Fort in Arthur Johnson Park in Gardena, CA, USA. A Team of three trainers head over to a participate in a 3v3 battle. Blastoise proceeds to destroy Team #1 with a single Hydro Cannon move. The trailer then cuts to a Blue Fort battle. A (1 vs. 1) Battle occurs at a Blue Fort at Le Pont Neuf in Paris, France. 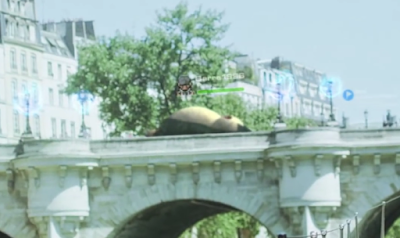 A Level 30 Snorlax (owned by a trainer) is seen sleeping at Le Pont Neuf, when another trainer sends her Level 30 Gyarados to attack it. Based on this series of events, the Snorlax may have been defending the Fort and the Gyarados may have been trying to capture it. You can see the four blue towers around the Snorlax and the little blue flag icon on the right in the picture above. Possible Benefits of Capturing Forts? Increased EXP gains from battles nearby that area. Greater chance of obtaining items from battles nearby that area. Bonus experience to the winning Pokemon who capture(s) or defend(s) a fort. Capturing/Defending may be needed to complete certain quests that reward players with items or Pokemon. 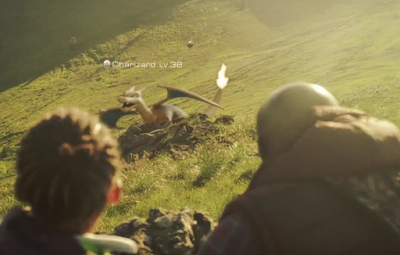 There were a total of five different items that appeared in the Pokemon Go Trailer. Although the item effects are not officially confirmed, these items are well known by most fans within the Pokemon community. Honey - Used to attract Pokemon in previous Pokemon games. Super Potion - Used to restore HP of weakened Pokemon. More effective than a standard Potion. Pokeball - Used for capturing Pokemon. Great Ball - More effective at capturing Pokemon. Ultra Ball - Very effective at capturing Pokemon. 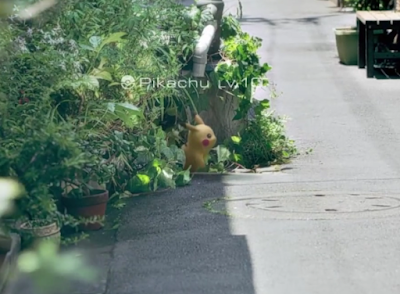 There were a total of 19 different Pokemon that appeared in the Pokemon Go Trailer. Level 10 Pikachu - Caught with Poke Ball in between Shinagawa-ku (labeled as a park) and Minato-ku (labeled as a city) in Tokyo, Japan. Level 3 Caterpie - Caught with Poke Ball in Château de Murol (labeled as highland), a castle in Murol, France. Also shown in Trainer’s Trade Window. Level 13 Bulbasaur - Trade Window. Traded for Vulpix. Level 15 Vulpix - Trade Window. Traded for Bulbasaur. Level 30 Snorlax - Battles Gyarados at Blue Fort at Le Pont Neuf. Level 30 Gyarados - Battles Gyarados at Blue Port at Le Pont Neuf. Level 22 Geodude - On Losing Team in 3v3 Red Fort Battle. Level 23 Cubone - On Losing Team in 3v3 Red Fort Battle. Level 34 Arbok - On Losing Team in 3v3 Red Fort Battle. Level 36 Blastoise - On Winning Team in 3v3 Red Fort Battle. Level 19 Meowth - On Winning Team in 3v3 Red Fort Battle. Level ? Dugtrio - On Winning Team in 3v3 Red Fort Battle. Level 54 Pikachu - Performed final attack on Mewtwo in the Times Square Raid. Level 70 Mewtwo - Defeated and Captured in Raid Battle at Times Square New York, NY. The Developers confirmed that events will be held for Pokemon Go. These type of events will be competitive and/or be places to trade with other players. It has been emphasized in interviews that Pokémon trading is going to be huge. Ingress events are growing larger and larger every year, and expectations for Pokemon Go are even greater. Planned to be held in many locations worldwide, events will allow players to come together to Strategize, Battle and Trade to add new Pokemon to their collection. Being that some Pokemon may be readily available in certain locations, but rare in others, events will be very helpful in bridging that gap without forcing players to travel across the entire world to Catch Em' All on their own. 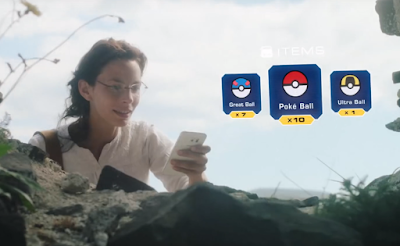 Pokemon Go will reward players for getting out in the real world and exploring their surroundings. Pokemon Go Developers have advised that the distance players walk will have specific payoffs. Though no specific have yet been given, examples of "distance traveled rewards" may include items being awarded to players only after achieving certain milestones (Eg. 1,000 Steps or 1/2 a mile walked = One Poke Ball). Or players may possibly be able to earn points for their physical activity which they can save and redeem for any reward of their choosing (Eg. 1,000 points worth 1x Poke Ball or 5,000 points worth 1x Ultra Ball). Battle Rewards: EXP points and a random item reward for the winning player/team. Fort Rewards: Note: Niantic may be removing forts and replace them with Gyms. Successful captures or defenses resulting in EXP points. While a player's team occupies a fort it may provide added bonuses for that team within a certain radius from that particular fort. Examples of fort bonuses may include increased capture %, temporary Pokemon stat bonuses, increased % chance of gaining an item after a successful battle, etc. Raid Rewards: Capturing Rare or higher level Pokemon. Rewards for successful Raids may also include Rare items such as Master Balls or Rare Candies. Quests/Achievement Rewards: Completing objectives or missions such as "Capture 10 Pokemon" or "Evolve a Pokemon" or "Obtain a Level 20 Pokemon" may result in Item rewards, Pokemon Rewards, Points to Redeem Special Rewards, etc. This article is a summary of all Pokemon Go information that has been released to-date, condensed into a single report (March 18th, 2016). If anything was missed or if you have any opinions about Pokemon Go please share in the comments below.